Owner managing her own home ensured that Suzanne got the result she wanted. By building a Paal kit home, Suzanne St Jorre obtained more for her money and also ensured she got the house design and internal fixtures of her choice. Her new home is on a rural 10-acre property outside the ACT, where she plans to start a family soon. She rides and grazes her three horses on the property. 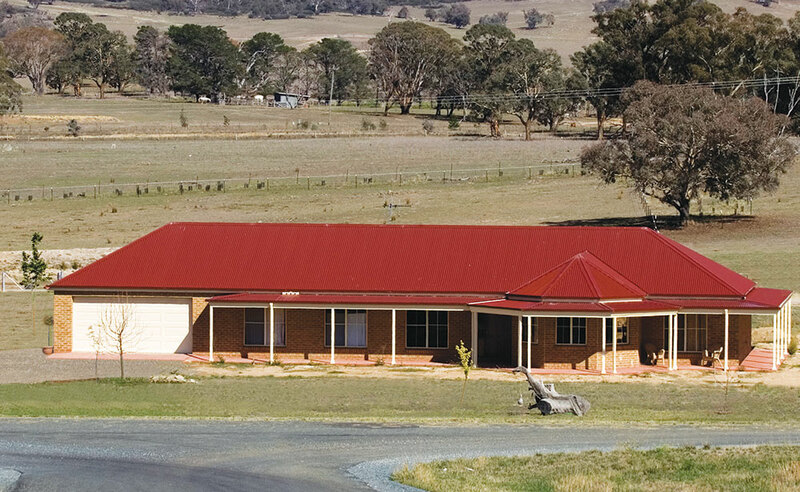 Suzanne chose Paal’s four-bedroom Darling model, which she modified by adding a double lock-up garage and extending the verandah most of the way around the house. She selected her own kitchen unit and timber flooring materials. “I looked at a number of kit homes from different suppliers and found that Paal gave more value than the others. I also liked their designs. The modifications I wanted were never a problem for Paal,” she said. For Suzanne, a major virtue of building a kit home was that she could save money by owner managing the project herself. Paal recommended a contract builder, who did most of the construction. “He was excellent,” she said. “Where tradespeople were required, we obtained quotes together and ensured the work got done. The house fell into place exactly as it should have. 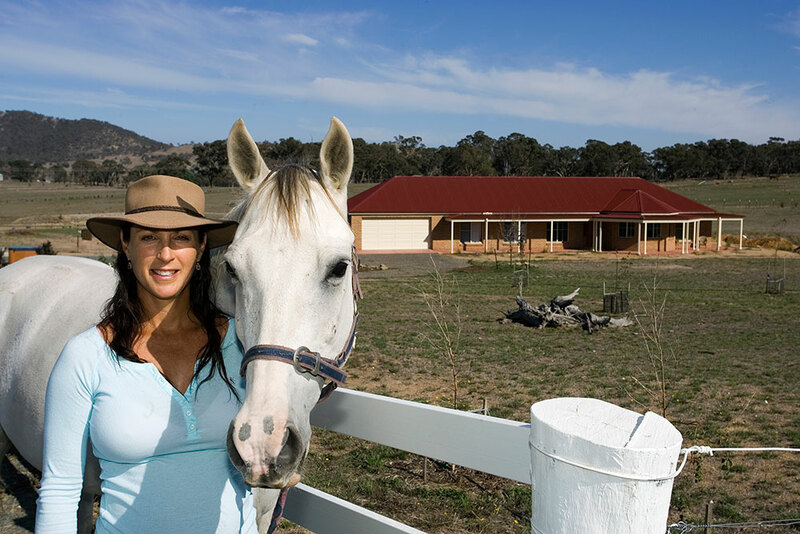 Suzanne is happy with her completed home, which has the appearance of a country residence in a rural setting – just the look she intended to achieve. “I would highly recommend Paal kit homes, because they supply the home designs that people want at prices that are affordable,” she said.